Handmade Kendama. 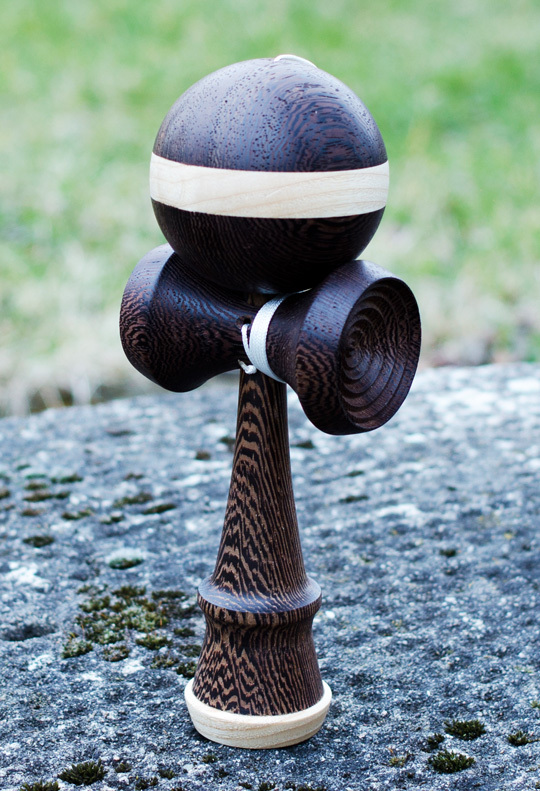 Ken made exotic wenge wood with ash base cup. Tama also made of wenge wood ash wood stripe. Kendama is coated with beeswax.